Trinity Tactical Applications, LLC is a veteran owned & operated company specializing in reality-based firearm, medical & self-defense training. 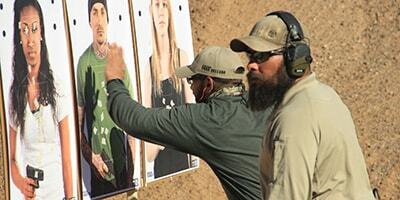 We offer public courses, individual instruction & private group sessions for agencies and private citizens. We only utilize certified and insured instructors with real world experience in their respective field. 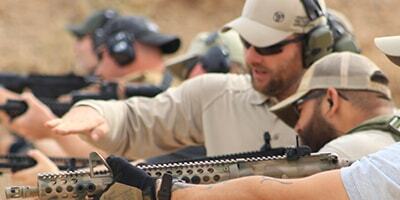 Our instructors range from military special operations, law enforcement, EMS, and martial arts backgrounds. In addition to credentials and experience, our instructors are chosen for their ability to effectively teach the material in a manner that is conducive to learning, while staying current with industry practices, tactics and ever-changing laws. CONTACT US to discuss custom solutions for your training needs. ‘Trinity’ is a reference to three equally important and interconnected skill sets that we feel constitute a well-prepared individual: firearms, medical and self-defense training. Trinity Tactical Applications, LLC strongly believes in the 2nd amendment and the right of responsible and lawful citizens to bear arms. Unfortunately, there are often times that one cannot carry a firearm due to legal, employment or other considerations. That is where self-defense training comes in. Similarly, one must be trained and equipped to handle common life-threatening medical emergencies. While tactical medical training is often marketed solely for gunshot and knife wounds, the skills learned are applicable in a wide range of scenarios. 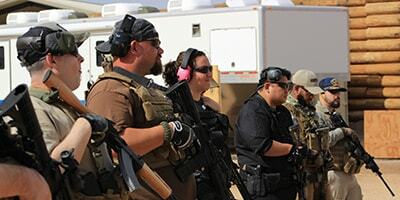 We are unique in the tactical training industry in that we thread firearm, medical and defense considerations into most of our courses, wherever applicable. We strive to deliver the most realistic training possible at the individual’s current skill level. Not only is realistic training more engaging and fun, it better prepares students to employ those skills in the real world. All of our training presents scenarios one might actually encounter and only use drills & exercises that are appropriate for the real world. In our firearms training, we only use photographic targets where the threat(s) have weapons- not circles or silhouettes. While we teach courses and private instruction ranging from basic to advanced- every step along the way, students are exposed to realistic scenarios, industry-standard equipment, time-constraints and STRESS- all in a safe and controlled environment free of judgement, ridicule and egos. There is no single way to accomplish an end- particularly with firearms and defense training. It is quite common for instructors at other schools to mandate a particular approach because they feel it is “the right way”. While there are certainly preferred methods, it has been our experience that sometimes methods have to be changed to suit the client, whether due to physical strength or body limitations. Our defense courses present techniques drawn from numerous martial arts. Our instructors can accommodate students with in different martial arts backgrounds or no prior training at all. 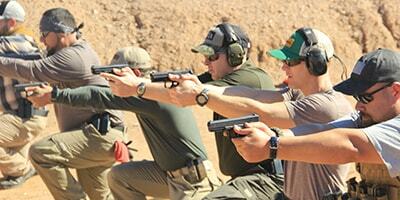 Similarly, our firearms courses do not dictate shooter ergonomics like a particular grip or stance. Instead instructors find what works best for that particular individual and situation. Unlike riding a bike, firearm, medical and self-defense skills are perishable, and your speed and effectiveness deteriorates over time. Even basic medical skills like CPR require re-certification every 2 years. We recognize that 2 to 5 day courses can be difficult to schedule with work and family commitments. Quite often, you are paying for a lot of drills and not getting 2-5 days’ worth of material. Our approach is different. Our courses pack a lot of content and material into 1-2 days sessions with the appropriate amount of exercises to reinforce the concepts without wasting your time. This saves money and allows our cleints to train more often, maintaining the muscle memory and mental conditioning. We understand that professional training costs money and we want to maximize the output for your hard earned dollars. We pride ourselves in offering courses as affordable as possible without sacrificing content and realism. That make our clients happy and allows them to train more often, maintaining those skills they have invested in themselves. Our clients often return for the same course(s) to keep those skills honed. We also strongly encourage couples and families to train together. They may need to protect you someday or defend themselves in your absence. Affordable and rewarding training makes that possible.